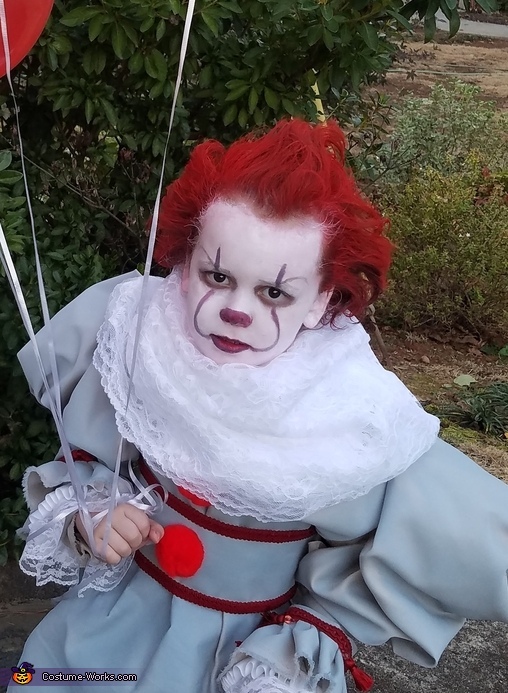 This is my 4 year old who saw a picture of Pennywise and said "I want to go as the scary clown". I can't sew and don't own a sewing machine. I made the costume with fabric, paint and a hot glue gun. The makeup was done by me with white clown paint, eyebrow makeup and lipliner. It is his hair. I'm a child of the 80s and 90s, so I know all about hairspray and gel!